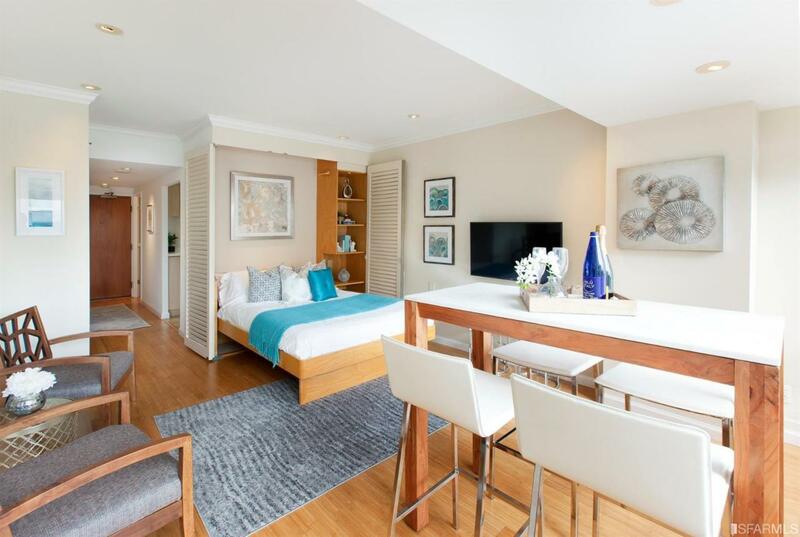 This renovated studio, located in an iconic location atop Nob Hill provides the perfect setting for a first-time home buyer, or as a pied-a-terre. 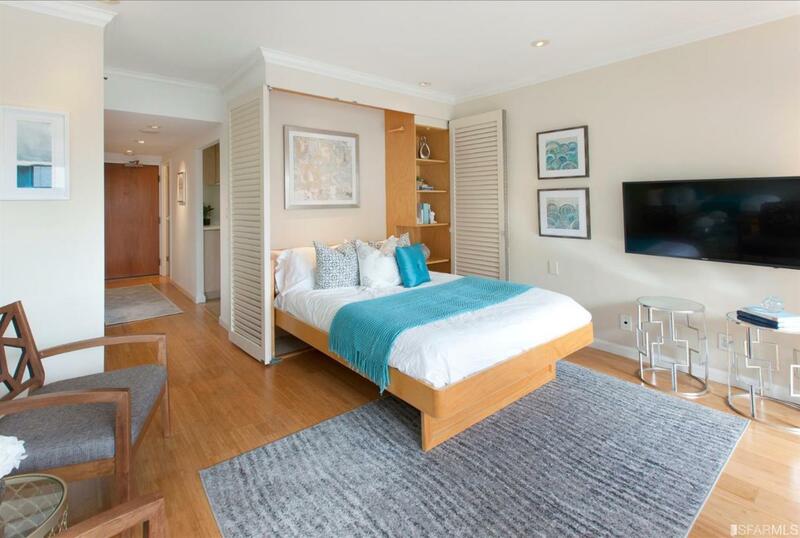 It features extensive built-in cabinetry by Muratore, including a convenient Murphy bed. The kitchen is updated with European appliances and a newer dishwasher. A large wall-to-wall window provides views of Grace Cathedral, Huntington Park, the Cable Cars, as well as the landscaped courtyard. Gramercy Towers is a full-service building with on-site management and 24-hour doormen. The common area includes a fitness center complete with a swimming pool under a retractable roof, spa and sauna. The Osso Steakhouse is conveniently at the lobby level. 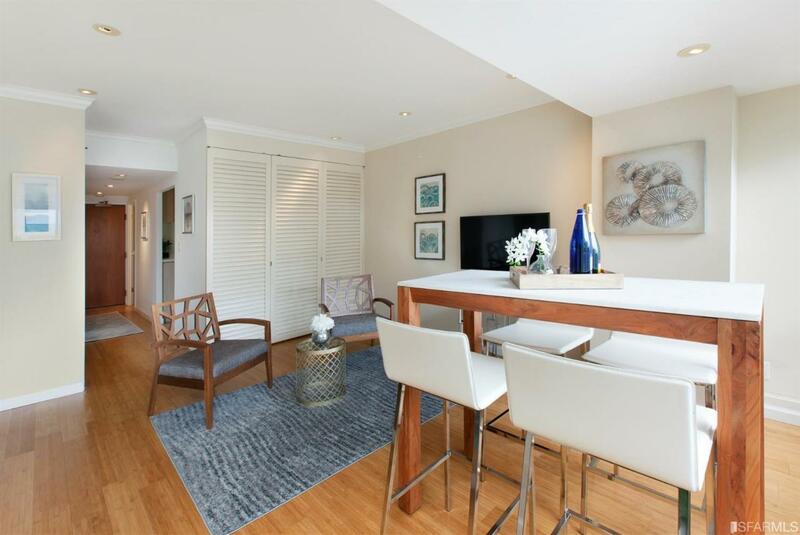 All in immediate vicinity to Union Square, the Financial District and The Fairmont & Mark Hopkins Hotels. Per Walk Score located in a walker's, rider's and biker's paradise. 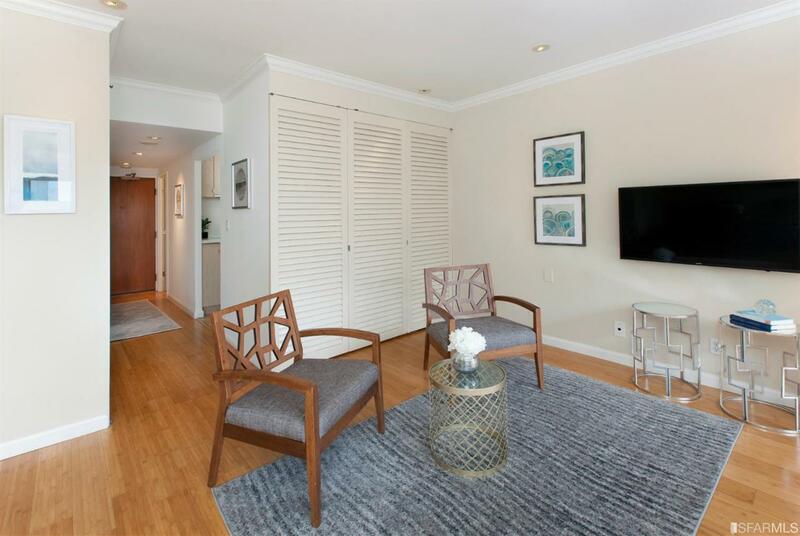 Listing provided courtesy of Daniel Bonett of Compass Sf.